Sometimes light comes from the darkest shadows... Lincoln has been sheltered his whole life. He's finally going for what he wants. Victoria believes she's a monster. 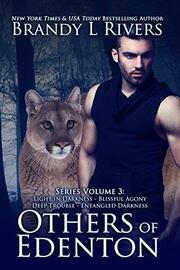 When she's attacked by hunters, he'll protect her, revealing his secret. Will darkness consume Victoria? Or will Lincoln's light show her the truth. 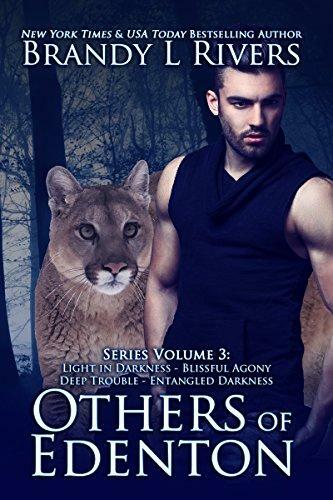 Clint has worked hard to let go of his past but it's about to come back to bite him. Emily has been through hell. She's gaining confidence and is ready to pursue Clint. Can she convince him to rise above when his old pack comes for him? Keeping secrets leads to deeper trouble… Fallon never expected love, or to find a man who accepted her so fully. New doubt arises with the threat to their unborn twins. One thing Brody needs in his life—Fallon. His love is unconditional. Now she’s hiding something and distance is growing. When the tension breaks and the truth comes out, can they bridge the gap? The best intentions can be entangled in darkness. Tremaine is no stranger to tough decisions. One case took him so deep he nearly lost his way. Saving Liz gave him purpose. Over years, he fell in love with her. She will never be complete without Robert. But can Robert accept his choices? When Tremaine's past comes back, they'll have to work together to end the threat.